In South L.A. 44 percent of children live in poverty, 17 percent in extreme poverty. Hunger in this country is an important topic that can be over looked in the food world but Chef Roy Choi gave a talk he called, “A Gateway to Feed Hunger: The Promise of Street Food” at this year’s MAD Symposium. He called upon his fellow chefs and people with influence to think about how to feed the hungry. 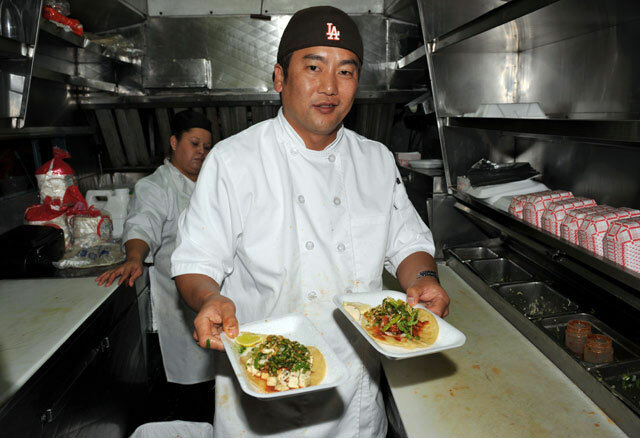 Through food trucks Choi has been able to bring affordable and healthy food to the many food deserts in LA. Chef Roy Choi Talks Hunger and Food Insecurity at This Year’s MAD Symposium.